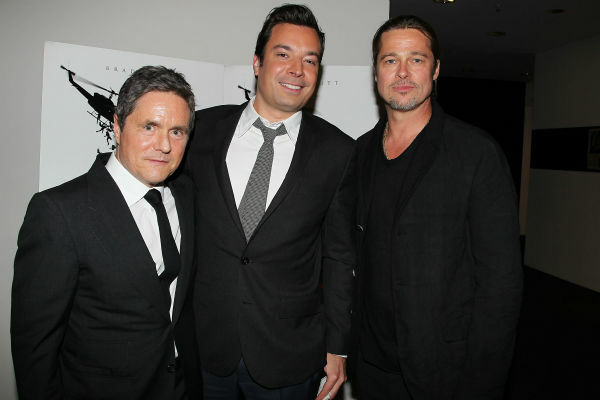 Brad Pitt stepped out solo Wednesday night to mingle with an impressive crowd of A-listers – but he didn't forget his fans, either. 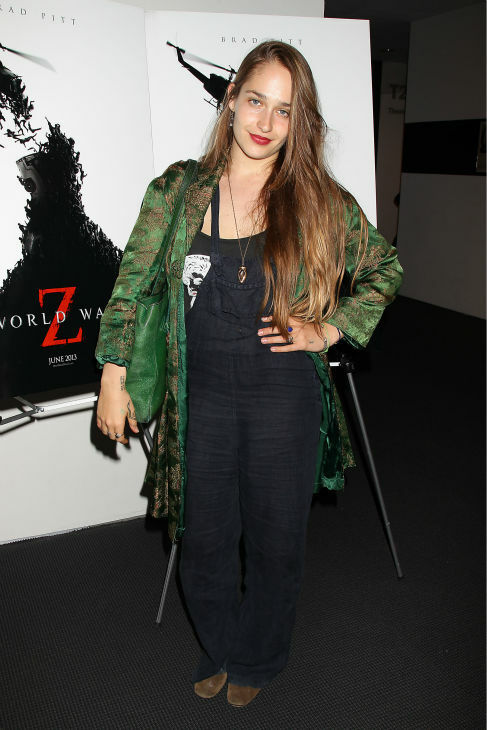 Showing his new zombie thriller World War Z for the first time, hehosted a star-packed screening at New York City's Museum of Modern Art – then zipped to Hoboken, N.J., where he surprised moviegoers at a late-night sneak preview. "They said we got to do a showing in the city and I said okay, but we can't do it without showing it to the people who we made the film for," he told the Jersey fans. "So we decided to do it than no other place than Jersey. We've got a monster film, it's epic, scary as hell and I guarantee it's the most intense thing you will see all summer." Back in Manhattan, the VIP crowd seemed to agree. Pals Julianna Marguiles and Kyra Sedgwick joked about how terrifying the movie's hordes of zombies were as they headed with Sedgwick's husband Kevin Bacon to the afterparty at the "21" Club, where Pitt, looking happy and relaxed two weeks after fiancée Angelina Jolie's announcement of her preventive double mastectomy, mingled with guests. 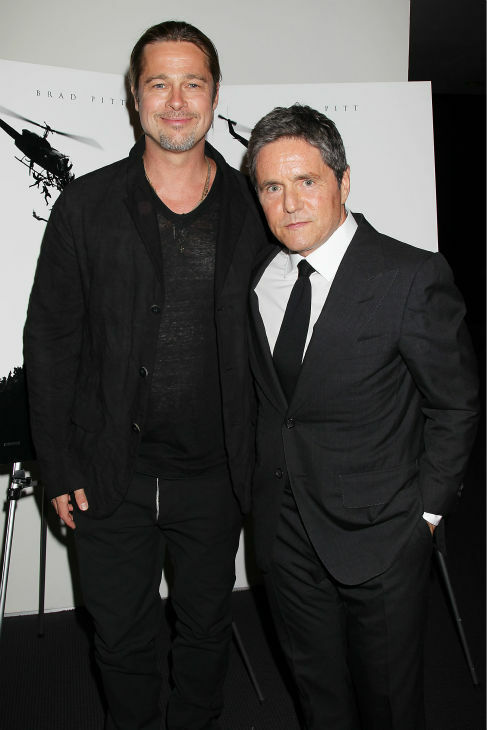 At the MOMA screening, where he was all in black (pants, jacket and boots), with his hair pulled into a ponytail, Pitt was introduced by Paramount head Brad Grey. On stage, the star told the crowd, "Thank you. Thank you all very much. We've been on this thing for so long and it's so nice to see friends out in the audience and so many others that I admire who are here tonight – I'm a little big shy about it. So thank you very much. It means a lot to us that you would give up your night for us." 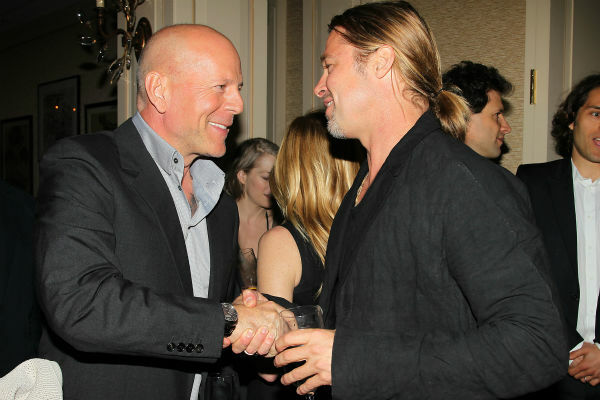 At the party, there were Bruce Willis with wife Emma Hemming, as well as Morgan Freeman and Ashley Olsen, among others. Katie Couric hugged her former Today colleague Bryant Gumbel and commented as he walked away, "just like old times!" 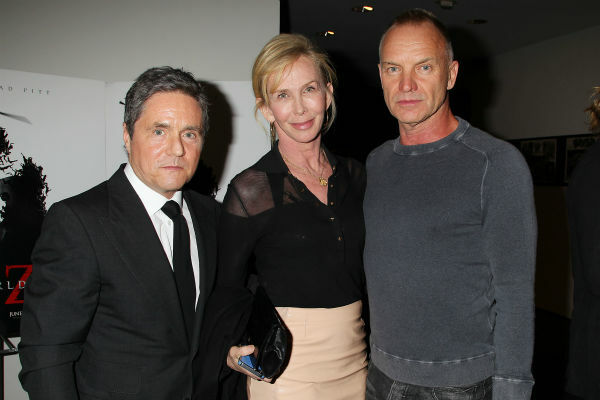 Sting and Trudie Styler worked the room, sneaking in some sweet PDA when they reunited after chatting with other pals. 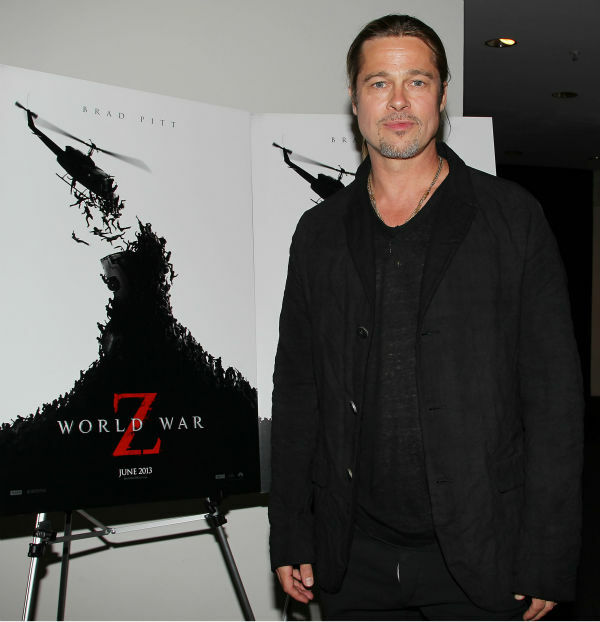 Next up for Pitt is World War Z's official world premiere in London on June 2. The movie hits theaters on June 21. 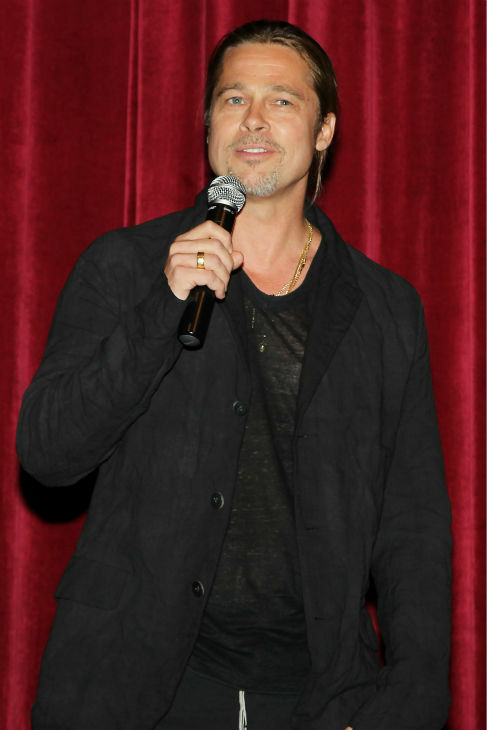 Brad Pitt speaks to the audience at a special viewing for his film World War Z held at the Museum of Modern Art on Wednesday night (May 22) in New York City. 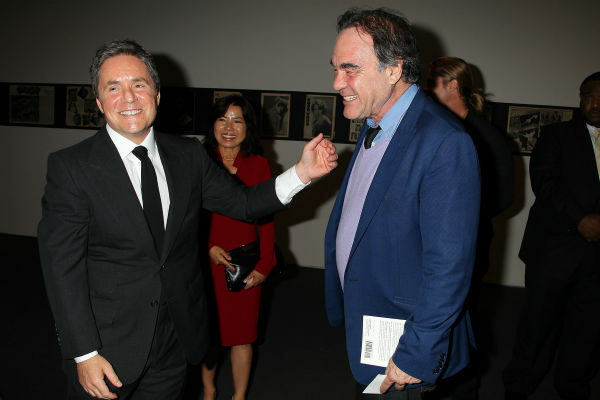 The 49-year-old actor introduced the film to the crowd and spent time mingling afterwards with celebrity guests including Kevin Bacon, Jimmy Fallon, Katie Couric, Bruce Willis with wife Emma Hemming, and more! Later in the evening, Brad surprised an audience at a special screening of the flick in New Jersey. Check out a video of Brad‘s speech, as well as his fans’ reactions! 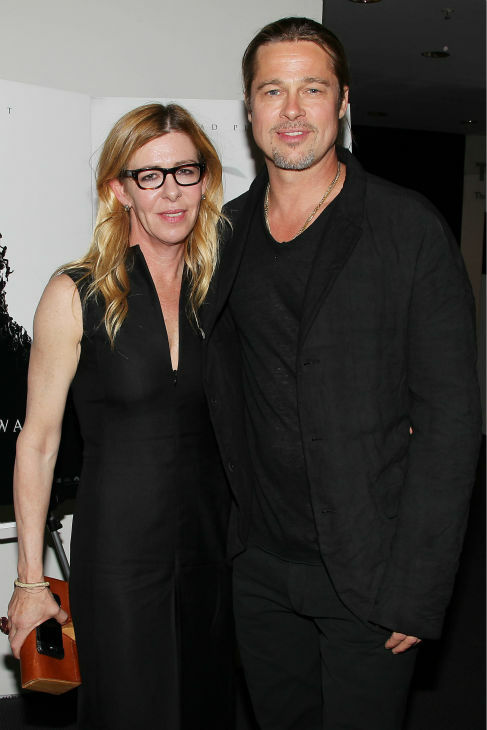 There many celebrities and movie critics at last night's surprise screening of "World War Z," for which Brad Pitt was in attendance. This gave people a chance to find out just how terrible the film turned out after all the arguments, re-shoots, and major script changes that took place during production. The first Twitter reactions are now up and it appears that "World War Z" is not a terrible movie. In fact, it's a fantastic movie that may just be one of the most entertaining movies of 2013. Check out some reviews below and watch the movie in theaters on June 21st. 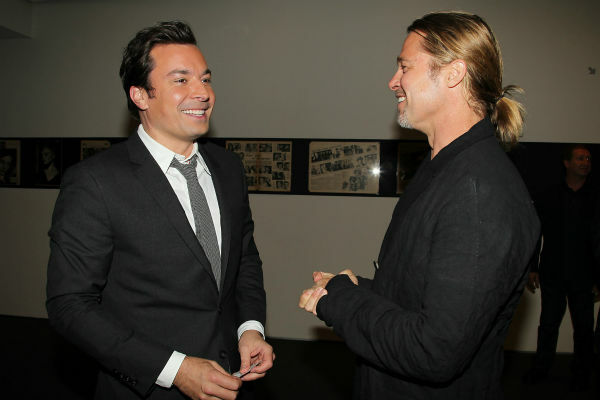 Jimmy Fallon: Just saw World War Z. So much better than World War A-Y. * IGN: World War Z: a big, solid zombie movie. Makes up for in scope what it lacks in blood. * ScreenCrush: So after all that fuss, 'World War Z' turned out to be a surprisingly effective zombie thriller. 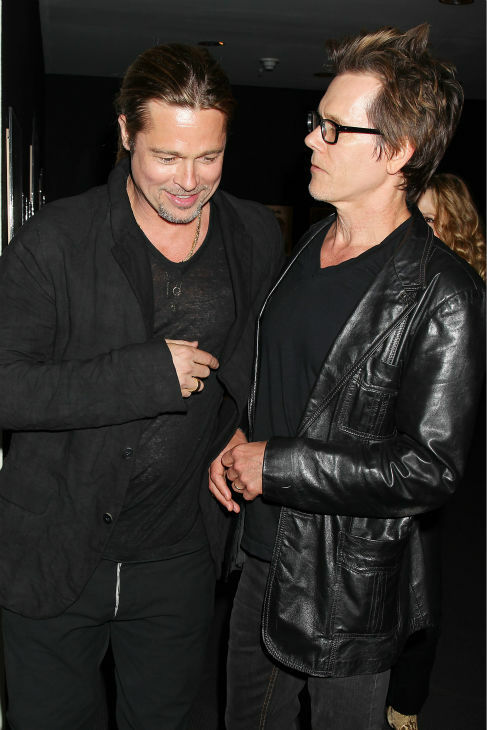 * Kevin Bacon: Just got a chance to see World War Z. It's so cool. I love Zombies !!!!!!!!! * Deborah Norville: Just saw World War Z. Kudos to Brad Pitt. Great movie and am NOT a zombie fan - totally enjoyed it and needed drink afterward! * LatinoReview: World War Z will probably be the most intense movie you will see this summer... I was shocked it was that good. * Charles Soule: Was World War Z exactly like the book? No, but I felt it captured much of the flavor, and man, does it have some intense sequences. * Simon PS: Great movie. World War Z breathes new life into zombies! 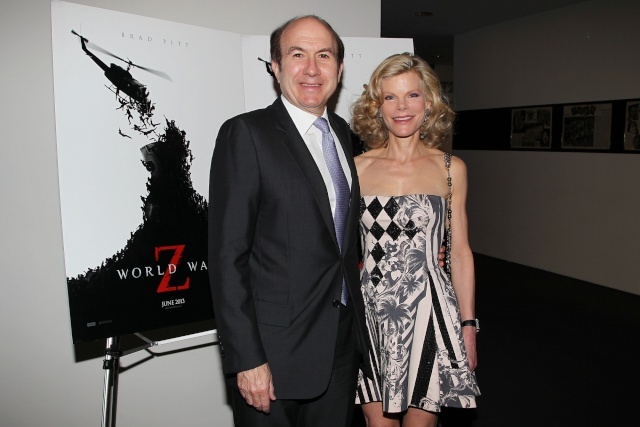 * Katie Couric: With Morgan F at the World War Z screening. Love him and really liked the movie when my eyes weren't covered! * Ivanka Trump: Saw World War Z tonight. Zombie movies definitely do not top of my list of preferred genres but it was awesome! 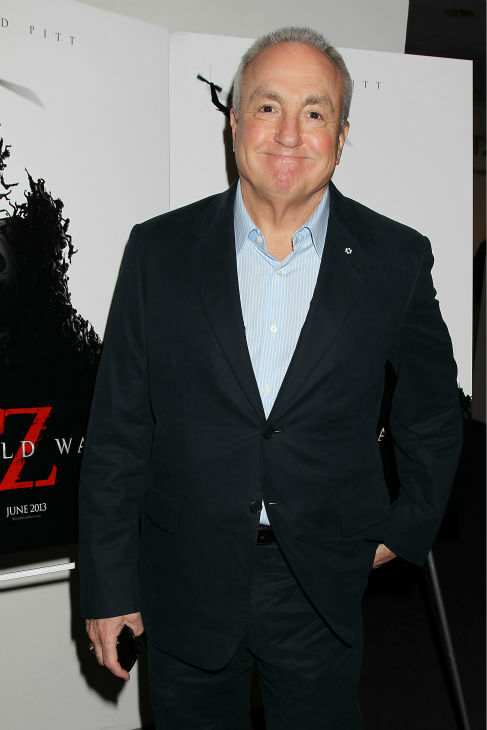 * Kurt Andersen: Saw World War Z. Not at all the disaster it's been made out to be. It's entertaining and will do fine. * Emma Heming-Willis: World War Z is unreal. A great film. Was totally stressed out from start to finish.